You can’t figure out the exact number of viewers from the overnight household rating, but a 3.4 household rating equals nearly 4 million (3.96M) homes, so viewership will be at least a little higher than that when released on Tuesday. 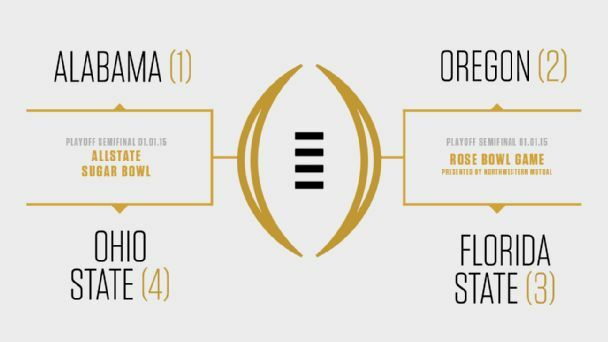 The College Football Playoff Selection Show averaged a 1.6 overnight rating for the duration of the show. Top markets: Birmingham (8.4), Columbus (8.2), Dayton (3.6), Tulsa (3.5), Greenville (3.5), Tampa-St. Pete (3.0), Atlanta (3.0), Knoxville (3.0), Oklahoma City (2.9), and Memphis (2.8). The College Football Playoff Selection Show culminated a weekly series in which the College Football Playoff Selection Committee’s rankings were unveiled each Tuesday night beginning October 28. The six-week weekly series (Oct. 28, Nov. 4, 11, 18, 25 and Dec. 2) averaged a 0.8 household rating and 1,109,000 viewers.